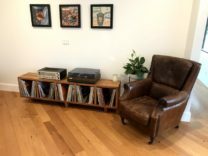 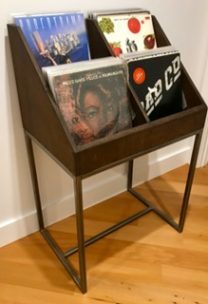 A smaller vinyl record storage unit with built in cuby hole to store your amplifier. 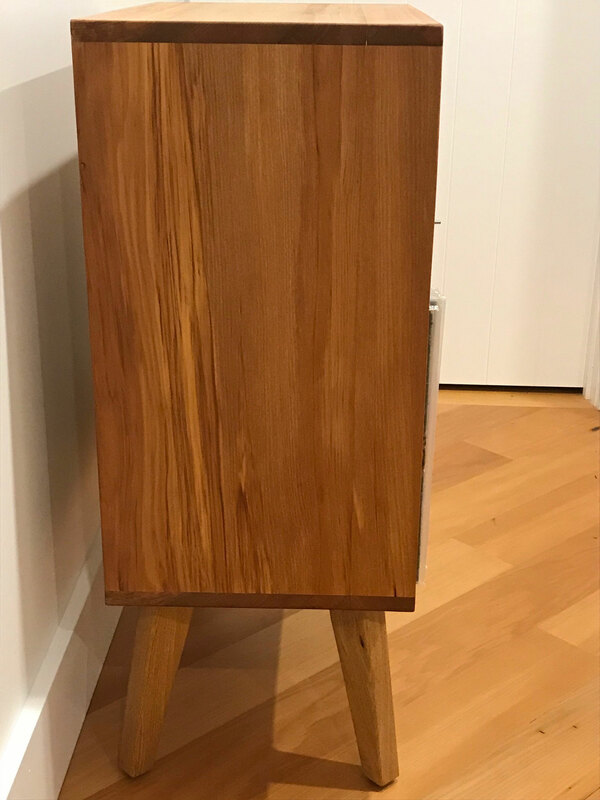 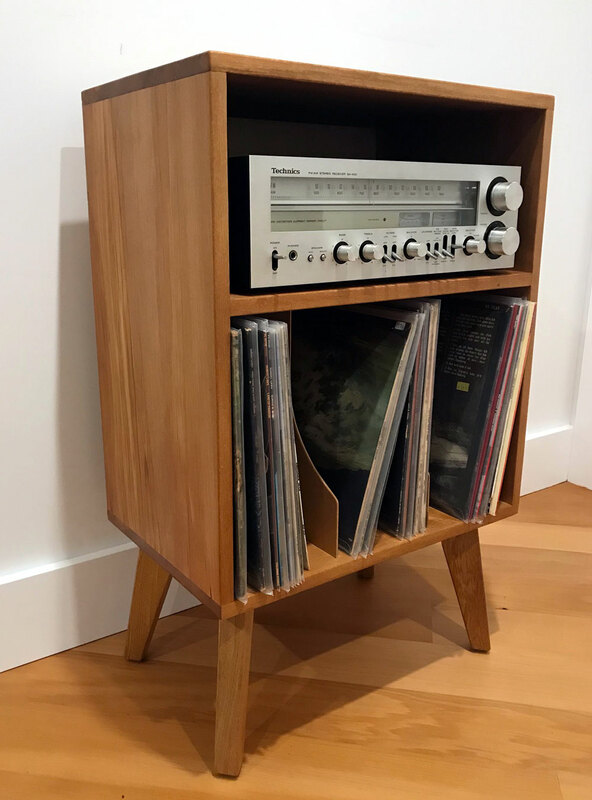 Made from solid reclaimed NZ rimu this unit has a real 70s vintage feel to it. 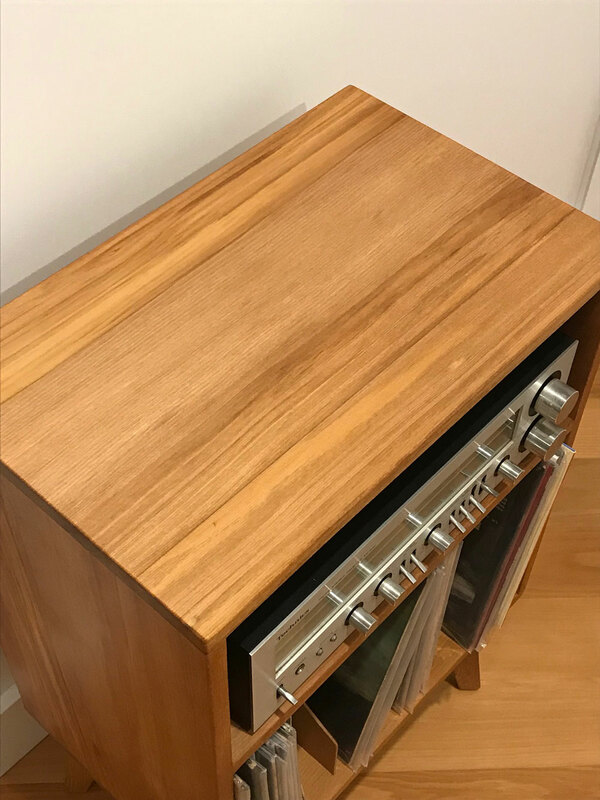 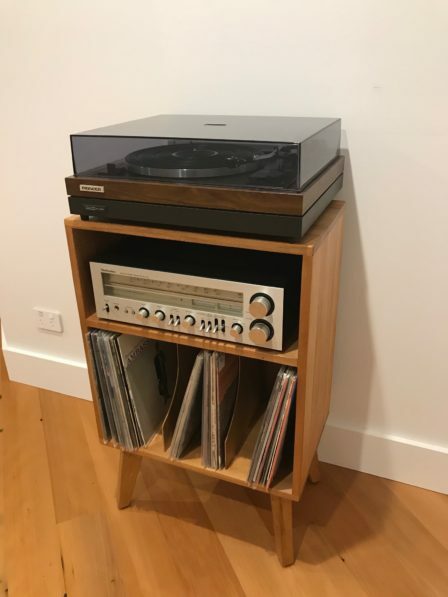 Great to house your vintage amp, and hold your record player on top. 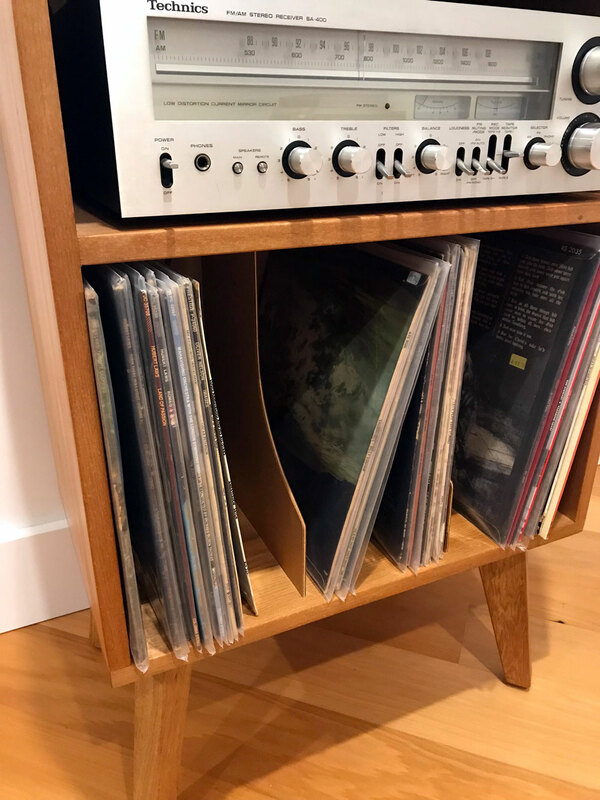 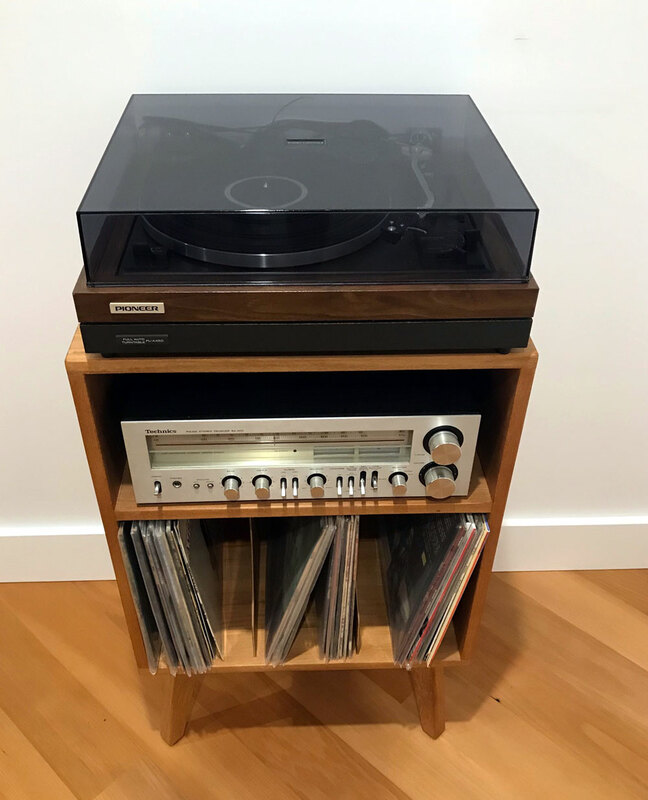 Unit has three divided slots to keep your vinyl lps. 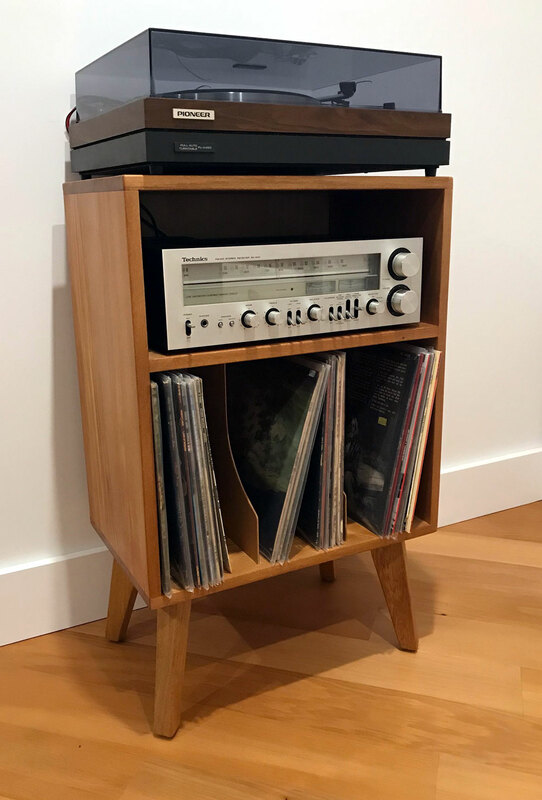 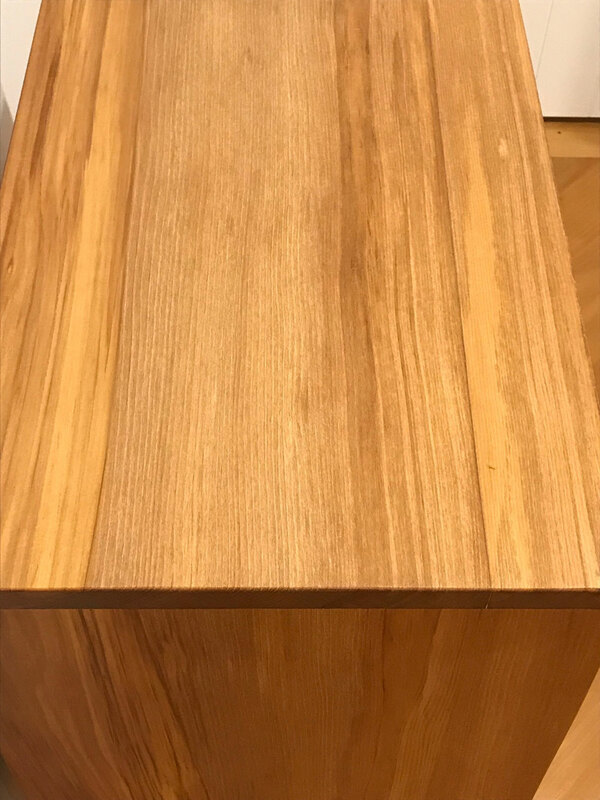 An absolute beautifully built piece of furniture.